Chris believe in that amulets have energy and power that help to bring good to people. I'm a amulet businessman that carry entry, mid and premium amulets pieces. Please do show respect & courtesy in enquiries. 2) Normal mail, registered mail & Smartpac mail are all available. 3) Self collect at my area by appointment basis. 4) Overseas buyers are welcome as we also take in PayPal as well. Last edited by spjeffrey; 12-11-2018 at 13:08. Selling at SGD$38. Whatsapp us at +65 90994067. ��Authentic from famous temple Wat Intharawihan. PM for price for those interested parties. Have difficulty in chanting or learning katha? Wish to harness and bring good energy to you? We have the answer for you! For now, every purchase will include AA size batteries. This is the katha player that was recorded in a grand ceremony involving many great masters back years ago. It is a good katha player to have as it is portable and easy to replace the AA batteries. The katha is play in an infinity loop so one can choose to switch off when no longer in use. ❇️Will recommend to get one to play the katha to bring good luck and chase away negative energy. Wat Intharawihan as its commonly referred to was formerly known as Wat BangKunProm. This temple has an aura surrounding it that's unmistakably serene. Wat Intharawihan is an old mystrical monastery build in the late Ayutthaya period circa 1752. This temple is renown for its Somdej pronounced "Somdet" type of amulet. 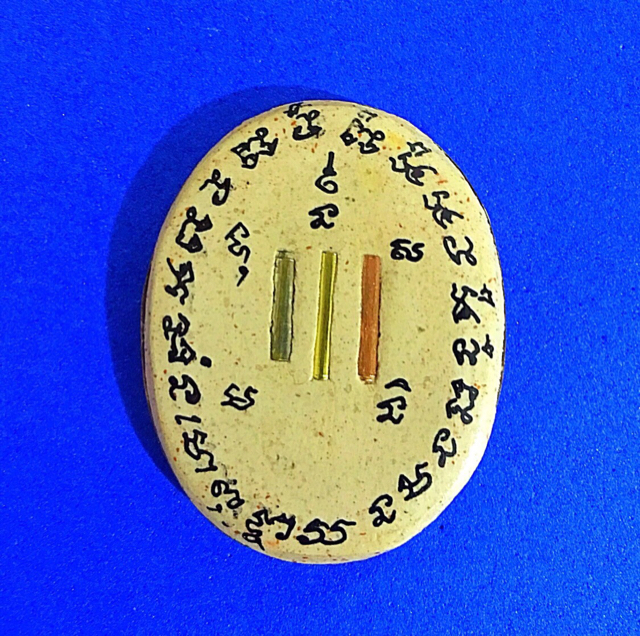 LP (Luang Phor : Venerable) Toh is synonymous with the Somdej amulet and this temple. Somdej amulets coming out of Wat Rakhang, Wat Intharawihan and Wat KateChaiyo are sought after by collectors for their intrinsic power. The process in which these amulets were created is were unique and powerful. 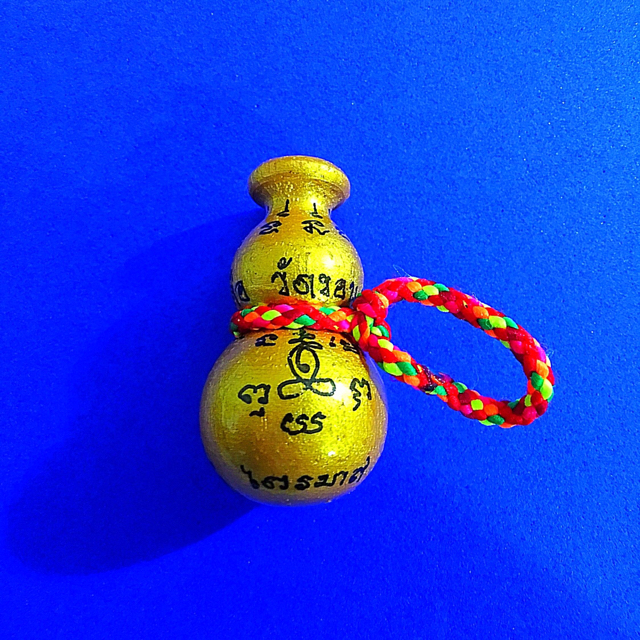 Somdej Toh used special yant inscriptions on the powder, spells and his meditative power to create his powerful amulets. Hence Somdej Toh's amulets are renown for their power to protect, improve ones life and to bring about peace and happiness. Last edited by spjeffrey; 12-11-2018 at 13:18. Only 1 piece available so don't miss this great item! Original Katha will be provided. Luang phor may stay up till 1-2am each day just to concentrate on making holy items for us. Let's be thankful that we all get this opportunity to have a handmade item made by lp Ler in this era. Taken direct & further blessed by master lp leua. Personally yanted by lp ler himself. Samkasat (Gold, silver, bronze) is to boost wealth and luck for wearer. Effects: Ability to attract good luck and wealth, improve business, improve relationships with people and strong protection. Only 1 available and rare to find this days! For those who want a powerful amulet, this is one amulet not to be missed! Went up personally to find Lp ler to get this powerful amulet. Lp Ler had also further blessed all the amulets intensively upon chowing from him. Due to lp's fame for famous in takruts and good reviews from devotees, his holy items are in demand due to they are personally made by lp Ler himself. LP Ler learnt many old magic subjects for making effective Takruts from LP Salat, & was made famous during one chanting ceremony at Wat Pradoosongtam. During the ceremony, LP chanted and the holy water in front of him start spinning in the tank & eventually the tank exploded. Currently, LP Ler is highly respected as the 2nd LP Kalong in Thailand. LP's Takruts are famous in Thailand, Malaysia, Singapore & China. Lp Ler Phra Pidta 龙婆乐必达佛牌. Lp Ler made many great amulets so this is one for those want more than takruts! Lp Ler is a famous master known for bringing luck and wealth to wearer. Luang phor may stay up till 1-2am each day just to concentrate on making holy items for us. Let's be thankful that we all get this opportunity to have a handmade item made by lp Ler in this era. Effect: Wealthy fetching, Protection from bad influence and evil, Metta Mahalap, Harmproof and bring good fortune especially business and authority, Improve your luck and fortune. ✨Went up personally to find Lp ler to get this powerful amulet. 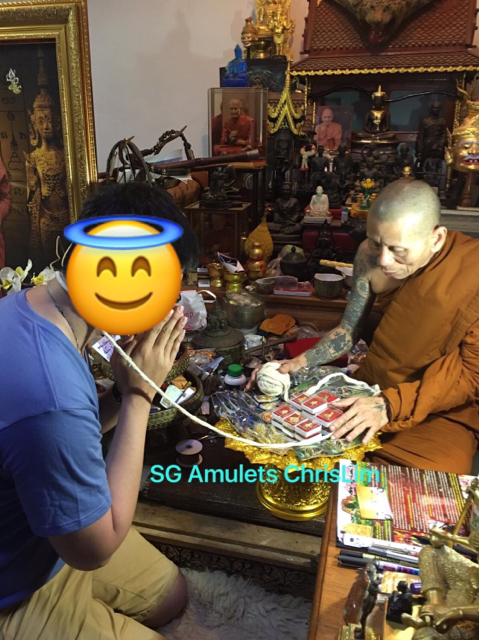 Lp Ler had also further blessed all the amulets intensively upon chowing from him. 100% authentic item and I have also taken photos together with Lp Ler. Pm me for price and deal up details. Personally travel to take from master. I am amulet seller. My items are in first hand, unworn and good condition. Getting amulet is for good luck & auspicious reason so it is always recommended to get genuine, brand new condition. All amulets done by Lp Leua himself and Luang phor may stay up till 1-2am each day just to concentrate on making holy items for us. Let's be thankful that we all get this opportunity to have a handmade item made by lp Ler in this era. Effect: Bring Properity and Longevity, Bring success in Business, Power and feeling of secure, Fertility and Long life. Wealthy fetching, Dispel all black magic - evil dangers and troubles, Protects home from negative energies. Last edited by chriswm; 13-11-2018 at 16:44. ❇️ Price - $48 only, 1 qty and unworn. 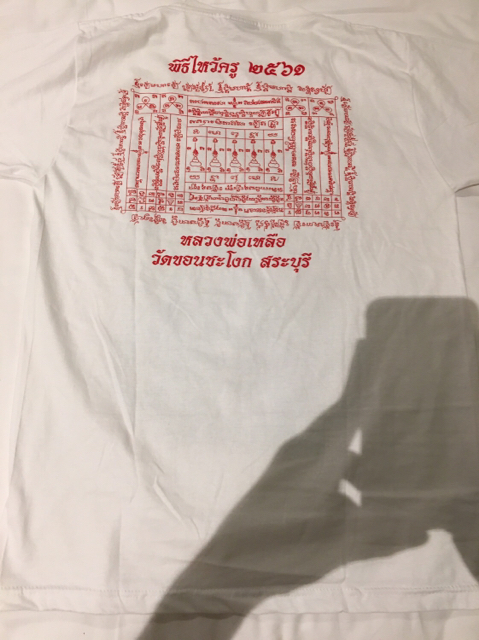 Phra Lersi T shirt in free size. Lp Ler Waikru April 2018 event that have receive great blessings. Material: Real Money notes handwritten all by lp ler personally. Effect: Increase Money Luck tremendously, Superb power securing good fortune in business affairs to the owner, Enjoyed Peace and Prosperity, Good in business and overall good luck. To be keep in wallet, bag or put office/home to attract money luck. Wallet, lanyard, pouch, bag or hp case. This version made much lesser in qty not the small pcs. Wear: suitable for handphone case, wallet, or bag. Went up personally to find Lp ler to get this powerful missing you takrut. Lp Ler had also further blessed all the amulets intensively upon chowing from him. Took direct from master & got it further blessed. We are sellers and encourage get amulets in 1st hand condition as this will help to improve the buyer luck. This edition was blessed & released in April Waikru 2018. Last piece and unworn condition. We are seller who want our client to own a new condition & authentic piece for good luck. Those who purchase today 22 Oct will get a bonus gift. This amulet can be wear on neck, pocket, bag or keychain. Original Katha will be provided upon purchase. Effect: 4 Great Powers of Phra Phrom amulet such as -“Metta Maha Niyom” means great of charming and kindness, -“Maha Gun” means great of protect a worshipper from dangerous and black magic, -Great of wealthy Property and good business, -Great of good fortune and lucky.